Not only does a great dining room form the cornerstone of a home’s social area, it’s where we spend our family time and share our meals. It’s no surprise then that the dining room table we gather around has become the centre of attention and as a result, attractive dining sets are experiencing a comeback in popularity. Today’s consumer is spoilt for choice – there are many different styles and options for a dining room available. Whether you’re a young couple who needs a set for just two or a large family that regularly entertains up to a dozen people at a time, you’re guaranteed to find at least one dining room style that suits you. According to Google’s Food Trends 2016 report, an Australian trend that shows no sign of abating is “Food with a Function”. This trend prioritises healthy, conscious eating. Gone are the days of microwavable meals eaten in front of the television as 2016 is seeing diners experiencing a heightened awareness of functionally nutritious foods, taking into account allergies and intolerances. Families are taking the time to enjoy the meals they have carefully prepared together. Sitting down to a shared meal around the dinner table allows time-starved families to bond without the distractions of work, school and smartphones interfering. This has led to a renewed interest in enjoying meals in the dining room and more importantly on the right dining set. As no two families are the same, no two dining room styles will be alike and it falls on each individual to choose the perfect dining room table for their home. When it comes to dining room furniture, size, style and appearance are important, in addition to finding a dining set that suits a family’s size and eating area needs. 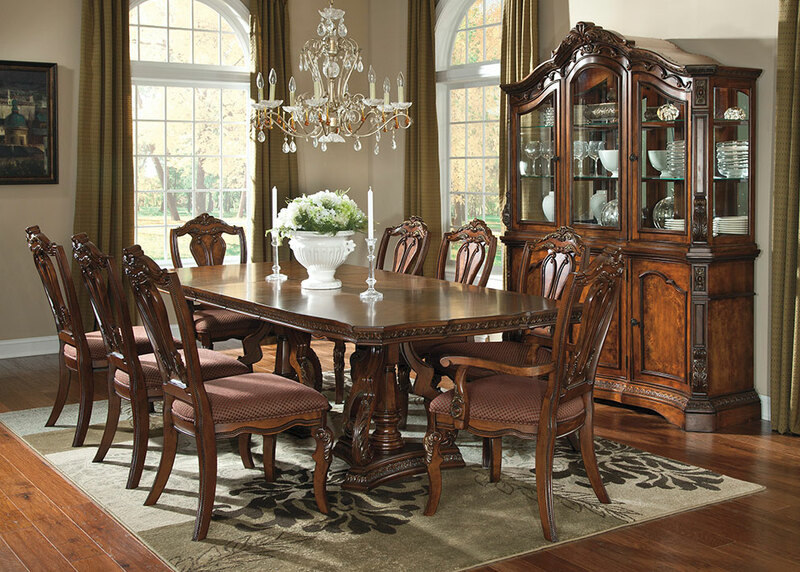 If you’re in Australia, we can find the right dining room set for you. Furniture Galore offers 3, 5, 7,9 and 11 piece dining room sets, and as a 100% Australian owned company, buying your dining set from us lets you support local businesses while getting a quality Australian dining room set at an affordable price. If you would like to get in on this conscious dining trend, make sure you start off with the right dining set for the job. With Furniture Galore, now you know exactly where to start!